4d Air Products Limited are the UK Sales Agent for Dbm Coils S.p.a.
Dbm Coils S.p.a. www.dbmcoils.com is the largest privately owned coil manufacturer in Europe. The main factory takes up a surface of 16.000 sqm, 8.000 of which are covered and 800 are offices. It is located in Varallo Pombia, in the North West of Italy close to Milan and Malpensa Airport. Our other plant is situated in Artegna, in the North East of Italy, close to the borders with Austria and Slovenia. It covers an area of over 62.000 sqm 2.000 of which are covered. At the present the company employs over 140 people. 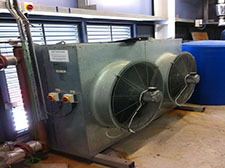 Dbm Coils supplies coils to a number of the larger manufacturers in the Air Handling Unit, Refrigeration, Process, Offshore and Marine Industries. In addition to this, through 4d Air Products Limited, one off bespoke coils is manufactured for specialist applications and on site / in situ replacements. 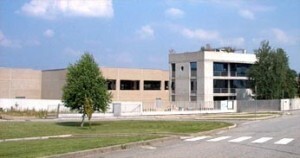 Dbm Coils S.p.a, Head Office and Manufacturing Facility in Varallo Pombia, Italy.